The 2018 season is nearing its close as the rainy season has begun in South Sudan. Our drilling, rehab and hygiene teams are still able to drill and repair wells as they make their way back to our Operations Center in Wau. 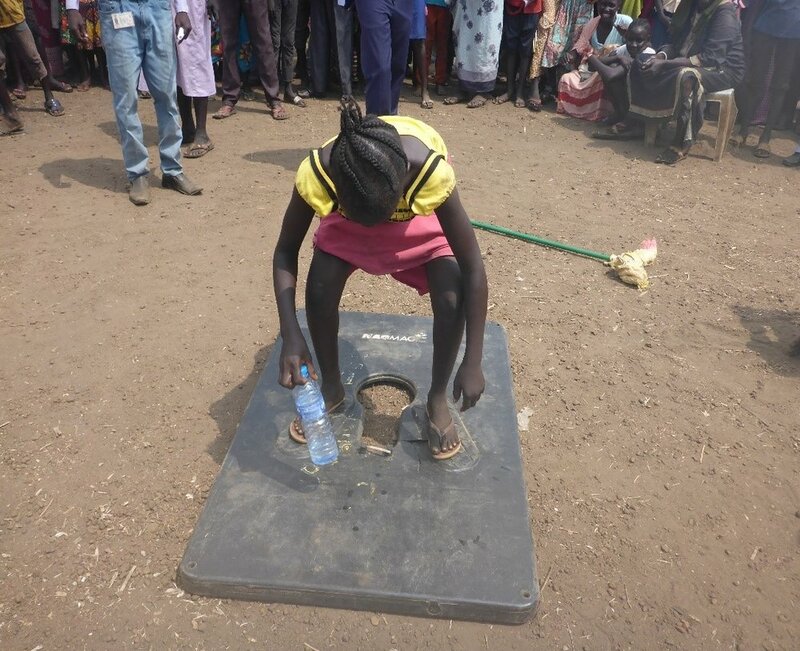 Villagers in Wut-Nyap Village in Aweil East celebrate their new well. As of May 15, 36 new wells have been drilled, and the team is still aiming for their goal of 44 new wells. 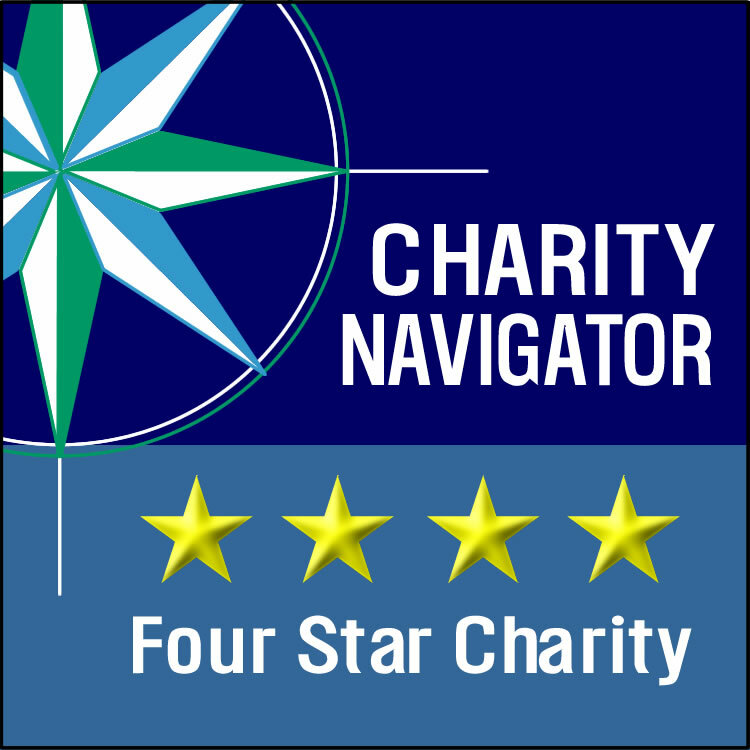 Our rehab team has been able to repair 21 of our older wells, and is on pace to repair 25. Both drilling and rehab teams are accompanied by their own hygiene team. So far this season, 57 villages have received hygiene training. 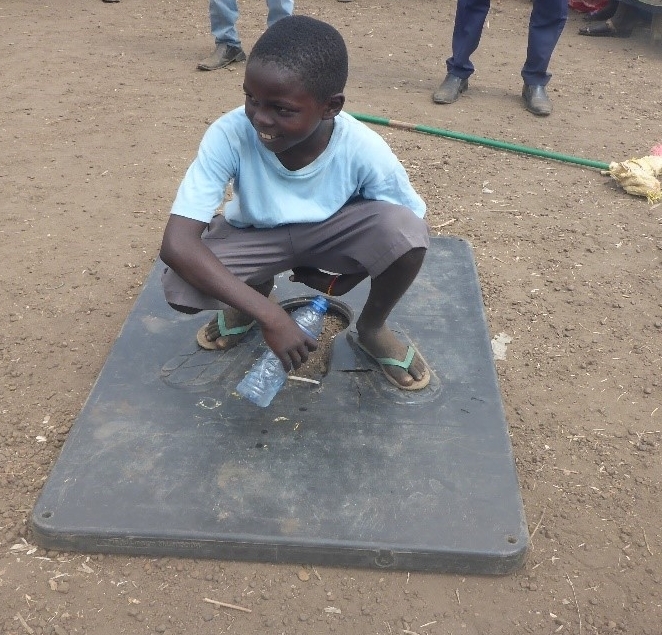 This season we also introduced a pilot sanitation project at Zogolona School in Wau. We look forward to sharing photos and stories from the students and school community, and hearing about the impact of this exciting development. We will also provide hygiene education to the school, which includes training on maintaining the new latrines. The work never stops at WFSS: even as the season is winding down our Leadership Council in South Sudan is planning for the 2018-19 season by arranging for training, special projects, and maintenance. Students at Zogolona Primary School in Wau, site of a new WFSS well and new latrines being constructed.